A couple of weeks ago we found quite a few SHARK’S TEETH during our Shellabaloo 2 shelling adventure on a full day Captiva Cruise trip to the north side of Cayo Costa. After seeing so many different types of FOSSIL SHARK’S TEETH in just one area, I wanted to identify which type tooth was from what type of SHARK. Looking through my handy “Fossilized Shark’s Teeth & Fossils” book by Byron Fink, this is what I found…. Some of these SHARKS TEETH can be up to 40 million years old when most of the state of Florida was under water. Yes, the Gulf Of Mexico has SHARKS… but not swarming off the shores of our beaches with black teeth waiting to get you so don’t worry. Live or “new” sharks teeth are whitish and most FOSSILS are black or dark brown. If you take the full day Captiva Cruise excursion to Cayo Costa State Park, don’t forget to look for FOSSILS! I’ve been asked for some shelling reports for Sanibel and Captiva this week but the shelling hasn’t been as productive as last week because of strong east winds that have taken the shells back in the water. But! Even though we still have the east winds now, we have a really nice low tide in the evenings tonight and throughout the weekend so I think we could find some keepers on the sand bars before sunset this week. 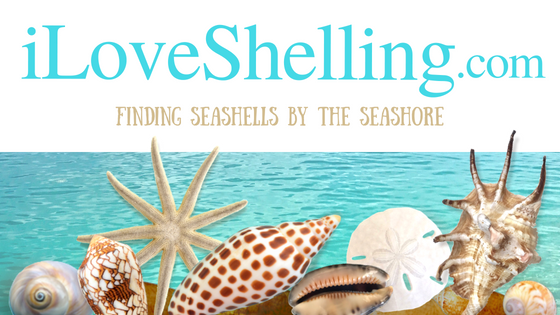 Kathy MT commented on the iLoveShelling Facebook page and said… “Found a whole sunrise tellin beauty, Kings Crown, murex, fighting conchs, small whelks, lots of colorful scallops ( my favorites are the bright orange ) and lots of coquinas at the Sanibel side of Blind Pass this morning“. Thanks Kathy MT! So maybe even in the mornings. So whichever beach you decide to go to, try to find the sand bars and also search in the shallow water. Good luck! I love finding sharks teeth!! Makes me feel like a kid again!! I found quite a few teeth on the south end of Boca Grande a few weeks back. It will be interesting to see how the scheduled Lee County beach re-nourishment project is going to effect our beach combing. Woohoo! What great fossil shark’s teeth! Thanks for the identification guide! Now ya know your sharks teeth! Can I share this? My grandkids love the sharks teeth I bring back from Cayo Costa, and I never realized they were from different kinds of sharks! Thanks for the shart ID info. I have hundreds collected from Manasota Key in the past 4 years. Try Stump Pass State Park. You can beach your boat at the inlet to Lemon Bay or drive and park for 3$ a day. Is the east end of Sanibel the Lighthouse beach? May try that at low tide tonight. Hope the no see ums don’t get me! Pam in your post on the 16th someone commented on a “bittersweet valve.” I have searched all my shell books and cannot find a reference to a bittersweet. Could you identify it for me? Thanks. Bonnie, Click on the tab at the top of Pam’s page that says “Seashell Identification” and scroll down a little bit. On the right side you will see Bittersweet Clam. Click on the picture and it will link to all of the posts and references to Bittersweet Clams. I hope this helps. Ken you will always be a kid. Thanks Katherine! I looked everywhere but at the top of Pam’s page!! Just got back from a weekend stay at our beach here in South Carolina (Myrtle), and we found 452 teeth in that short of a time,along with fossils. It’s our passion to hunt them……would love to visit down there someday!! I spend three months per year in Delray Beach, FL. For the last 10 years, I have spent a lot of my shelling time looking for shark teeth. This year was so much fun as I found tooth after tooth! In the end, I found 55 shark teeth. One huge one, for me, was 1 1/2 inches tall. It has been identified as a tooth from a great white! I stopped at 55. I am disabled and the searches were exhausting, but so much fun. My dad lives in Venice, Fl on the water around the corner from Sharkey’s! The “island” part of Venice is different than the part tied to the mainland. They do an excellent job of maintaining the beach’s natural state. A water taxi goes back and forth once evert 30 minutes, no bathrooms, no motorized water toys. This means that manatees and dolphins love to come and play here. He has sent my daughter POUNDS of teeth over the last 6 years. They’re so prevalent there that he has shark teeth lining the bottom of his aquarium and as a mulch cover for some houseplants! Who could’ve imagined that there’s be so many 40M year old tooth fossils as to almost be worthless?! I went to Florida and my kids went to the shark tooth capital. My aunt and uncle said that my kids found more teeth in one day then they found in 2 years. I found some shark teeth in a small creek near talassee al ,not like any I’ve seen and older than I’ve seen could they be valuable? Just curious as to why you listed the Snaggletooth Shark Tooth in your identification listing. Is it possible to find these teeth here since the shark’s natural range India and China and the Western regions of Australia. Hard to believe a tooth could wash that far around the world. Lynn, these are fossil sharks teeth. Snaggletooth sharks existed all over the world in the Miocene era- over 5 million years ago.